Hello and welcome to my brand spanking new blog! I wanted a way to track the progress of my new allotment from a wild grass land to a fertile and productive haven and also to share and document all my triumphs and failures as we go along. After putting my name down on the allotment waiting list in April I wasn’t expecting to be offered a plot for at least a year, demand for allotments in my city far outstrips supply, but, much to my surprise, just two months later a letter from the council landed on my doormat offering me my very own half plot! At first I was a little hesitant to accept as I’d had my heart set on a full plot (dream big!) but after a little deliberation, and a much more sensible friend explaining just how big 170m2 actually is, I decided that this was the plot for me. Contracts were signed, keys exchanged and I took officially possession of Plot 23b on the 27th June 2015, just two days before my birthday! What more could a girl ask for?! Rob and I went up to have a first look and we almost walked past the gate it was so hidden amongst the shrubbery. 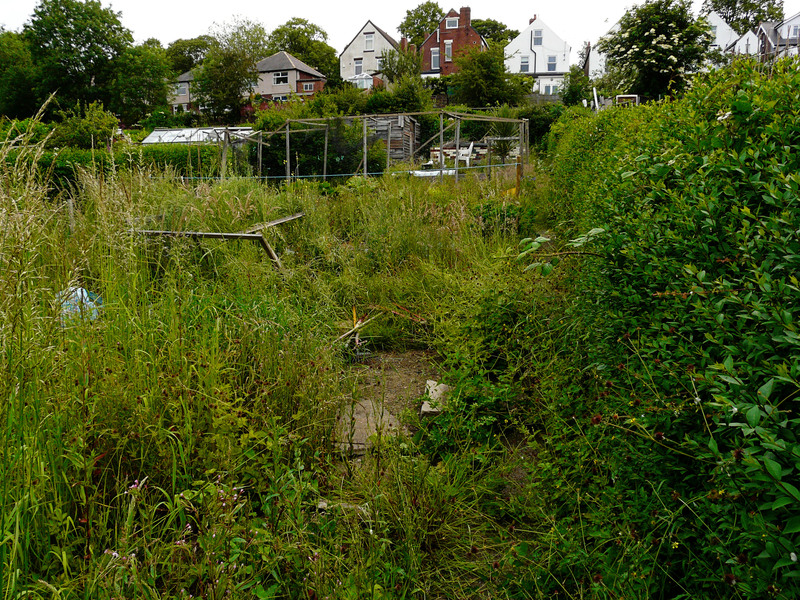 Could all this overgrowth be a foreboding sign of things to come? The answer, as you’ll see below, was emphatically yes. This is the view that greeted us coming through the gate for the first time. It’s clear that at one time this was a very well loved plot but the wild has certainly done it’s best to reclaim it. Unfortunately we were in a bit of a rush so haven’t had chance to crack on yet but we’ll be back to get on with the job of pulling these weeds before too long. 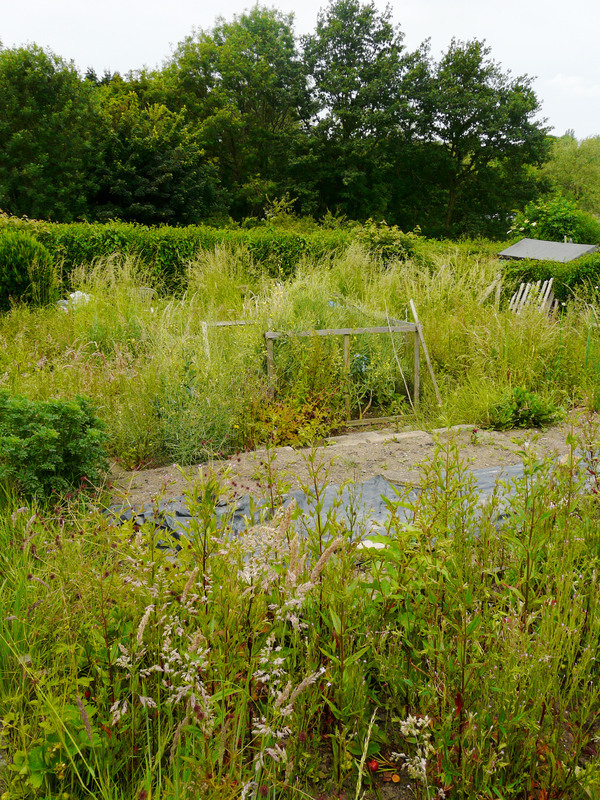 We’ve certainly got our work cut out if we want to get the plot workable and get some produce from it this year! Join me next time when I’ll be sharing some discoveries we found hidden in the undergrowth.